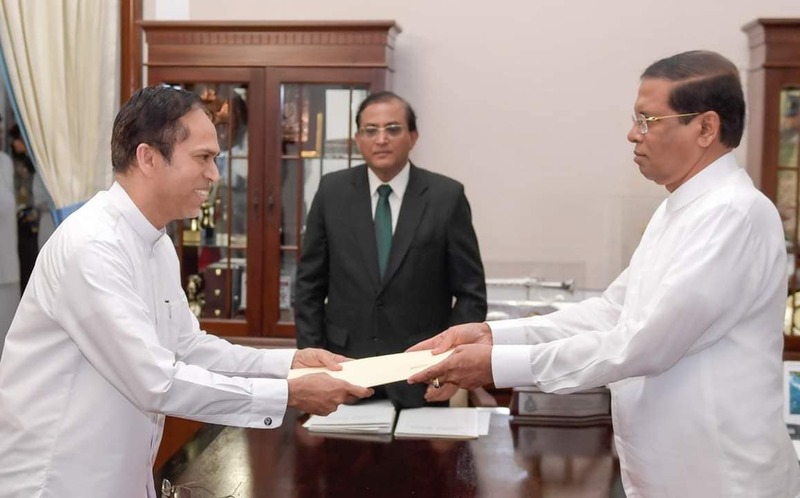 United People’s Freedom Alliance (UPFA) MP M. L. A. M. Hizbullah, who entered parliament as a national list MP after failing to win a seat from Batticaloa in the last election, has been appointed as the governor of the Eastern Province. Hizbullah assumed his seat in the current parliament as a national list MP after the UPFA failed to secure any seats in the Batticaloa District in the 2015 general election. He defected from the All Ceylon Muslim Congress (ACMC) when it left the UPFA in December 2014 to support the presidency bid of Maithripala Sirisena, with Hizbullah choosing to stay in the UPFA and support Mahinda Rajapaksa in the election instead. Prior to re-entering parliament in 2010, Hizbullah was a member of the Eastern Provincial Council where his term was marred by a rivalry with paramilitary leader and then Chief Minister Pillaiyan. After failing to win a seat in the 2004 parliamentary election, Hizbullah served as chair of a state owned airport and aviation services firm, during which time he and his wife are alleged to have defrauded the company of almost 70 million rupees. Hizbullah has also expressed his opposition to repealing the internationally-criticised Prevention of Terror Act (PTA), under which dozens of Tamil political prisoners are still detained without trial, almost ten years since the end of the war.